I'm delighted to announce that from 1 June, The Centre will offer a new and improved range of membership options. We will deliver a greater variety of membership packages and benefits so you can choose the level of membership that suits your needs and budget. To make membership easier, from 1 June you will also be able to renew and join online via our website, including paying online. To celebrate our new membership packages, the first 100 new or renewing members to pay online by COB Friday 17 July 2015, will be given a special opportunity to attend a new training session being offered by The Centre from August this year. Stay tuned for more details. Online payments can be made via our website from 1 June 2015. More information on our new membership packages will be on our website from 1 June 2015. Members of The Centre for Volunteering can now enjoy special rates at TFE hotels in Australia and NZ. To access this benefit, current members can contact our membership team now; otherwise these details will be provided to all new and renewing members from 1 June 2015, on receipt of payment. I'm also delighted to introduce you to our new logo, which we believe represents our refreshed focus on updating and improving our services to members and volunteers. We're glad to welcome back the red V, the international symbol for volunteering, which has been designed to reflect what volunteering is all about - people! I'd like to acknowledge and thank Etchcraft who designed this logo for The Centre on a pro-bono basis. I met with the other states and territories this month to discuss members' views on the definition of volunteering and what, if any, changes were needed. 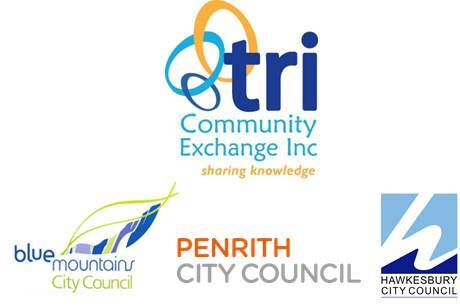 Thank you to NSW Volunteering, Department of Education and Communities, for facilitating the community conversations and thank you to everyone who took part in one of our 21 workshops or completed online surveys. 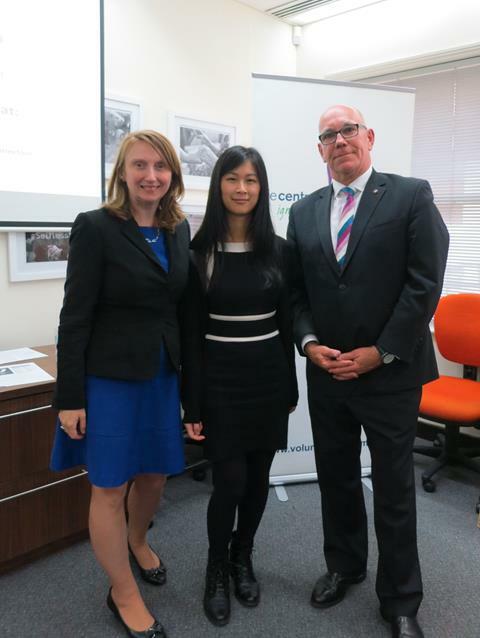 It was a privilege to represent your views for the NSW perspective. 3. for no financial gain. A warm welcome to Judy Munns, our new Training Manager, who joined the Centre last week. Judy replaces Mark Tippett who left to take up an opportunity in another RTO. Also, congratulations to all our members for bringing National Volunteer Week to life by highlighting the work of volunteers via events, open days, parades, and media coverage. I especially enjoyed spending time with The Centre's volunteers at the "Thank-you' lunches we held each day. It was a wonderful opportunity for me, and our organisation, to thank them for everything they do. Nominations are open for the Voulunteer of the Year Awards so get your nominations in and spread the word!. Nominations close 17 July. Click on this link to nominate. My name is Judy Munns (pictured) and I have always been passionate about education and training that supports people to achieve their work and personal goals. I welcomed the opportunity to introduce myself in our newsletter. I am enjoying my first two weeks working with The Centre for Volunteering and learning about the School of Volunteer Management's history and current training projects. I bring to the role my experience from many years working and consulting with community service and training organisations. My qualifications also complement and support the school's training qualifications in Volunteer and Community Management. I am a qualified and experienced Quality Auditor, Trainer & Assessor and I completed my Masters of Community Management at the UTS Business School. Last week Gemma invited me to attend the National Volunteer Week launch at NSW Parliament House and I really enjoyed hearing volunteers tell their stories about the fantastic work they do in the community and the value it contributes to their lives. It was such a great opportunity to meet some of our partners who are passionate about providing our training to their volunteers and staff. I am really looking forward to working with Gilly Podd, the Head of Volunteering for Bupa Aged Care Australia and with Anne Fitzgerald who is the Executive Manager for Member Services & Marketing for ClubsNSW. Both organisations are committed to providing training for volunteers and relevant staff, through our school. I am also looking forward to supporting and talking to our students who are completing their qualifications in Volunteering, Community Services and Training and Assessing. Thank you to all, for your warm welcome. Keep an eye on the Centre's website or your inbox for details of The Centre's new membership options and benefits. From 1 June 2015 we will be offering a range of packages so you can select the package and services that suit your needs and budget. We have developed these packages based on feedback you provided in our membership survey a few months ago. From 1 June 2015 we will offer both full memberships and special interest memberships. For example with our special interest memberships you can choose a Volunteer Referral Service (VRS) only package, or a network events package which gives you access to 10 events a year and more - a saving of $100. Our full membership packages have been designed to give you greater value and access to discounted and pro-bono services. You told us value and a fair fee structure was important to you small NFPs will pay less for full membership than large NFPs and other organisations. We also commit to providing high quality networking events, as members said this was a priority. Thank you for your positive feedback on the events we've held so far this year - we appreciate it and have passed it onto our speakers. We will also continue to offer a range of services for corporate organisations, on a fee-for-service basis. We will be keen to hear your initial and ongoing feedback on our new membership packages and service delivery so we know we're on track and delivering what you need. See our website on 1 June for our new membership offering. The report was submitted by The Centre for Social Impact (SCI) in October 2014. CSI was commissioned by the Federal Government to develop a preferred model for a National Centre for Excellence, which was originally earmarked as a replacement for the charity regulator, the ACNC. The Centre for Social Impact's final report proposes a model for a National Centre for Excellence (NCE) to be established with a one‐off endowment of $100m, potentially to be raised through a ten‐year Government bond. CSI said the report was the result of four months of consultation with over 500 community and civil society representatives. While The Centre hosted in-house celebrations for our own loyal band of extraordinary volunteers, we also launched National Volunteer week formally with an event at NSW Parliament House. We were joined by Minister John Ajaka, NSW Minister for Multiculturalism, who addressed guests in his first official event for our sector in his new portfolio. A big thank you to 2014 award-winners David Abrahams, Karen Lindley and Emily Smith who joined us and our members on the day. Particularly Karen Lindley, 2014 Adult Volunteer of the Year for her very personal and inspiring account of volunteering, including how her young grandson is already giving to the community. 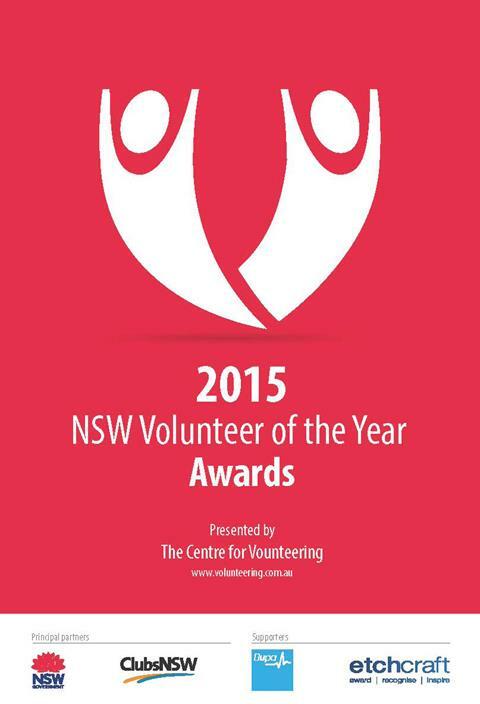 With the help of some of last year's NSW Volunteer of the Year Award winners, we also launched the opening of nominations for the 2015 Volunteer of the Year Award while at Parliament House. The training will be delivered by one of our member law firms, Norton Rose Fulbright. It’s a hot topic at the moment, as you know, and this session was packed and received high praise from attendees when it was recently delivered in Melbourne. More information and registration details for the training are available on our website. Click this link for details. Following the successful 2014 release of the Nepean Region Volunteer Research Project: A Model for an Integrated Volunteer Pathway, services are invited to continue the conversation on volunteer support across the region. Tangible actions to enhance volunteer support in the immediate and foreseeable future. RSVP by calling (02) 4721 1866 - ext. 31 or register on link below. Click this link to register for this event. We had a great turnout for our April and May networking events, with interesting discussions on conflict resolution and then on Boards. Thanks to meditators Steven Lancken and Jay Qin from Negocio Resolutions for presenting at the April event – Conflict Resolution – How to prevent, identify and manage conflict? The event was well received and many members took up the offer to contact Steven regarding his free “Difficult conversations” service for NFP organisations needing help with conflict resolutions advice. Please contact membership@volunteering.com.au if you are interested in this program. Just this week, we held our May Networking Event: "Boards, Volunteers and Paid Staff - the connection and sometimes the tension”. It was delivered by leading governance expert John Peacock, General Manager of the Association's Forum. It was a highly engaging session which elicited great questions and provided useful pointers for Boards, volunteers and Managers. To nominate follow this link. Due to staff changes The Centre for Volunteering is looking for an experienced and motivated manager to develop and strengthen services, enhance relationships, collaborate, and grow membership of the organisation. Reporting to the Director: Communications and Business and Development, you will be responsible for actively engaging members, enhancing member benefits, and encouraging partnerships with private sector organisations to build capacity of the organisation to deliver services and programs. For more details: click this link. Are you a born organiser who is looking for a dynamic events role where your skills make a real difference and where you’re encouraged to shine? The Centre for Volunteering is looking for a highly-organised and motivated Events Coordinator to join our team. Reporting through the Manager: Events and Capacity Building to the CEO, you will be responsible for the smooth running of our annual events program, from planning to execution. This includes, but is not limited to, the NSW Volunteer of the Year Awards Ceremonies, an annual conference and more than 20 regular events for members, corporates and the community.